Michael Schumacher is a retired racing driver who is a native of Germany. Regarded as one of the greatest Formula 1 drivers of all time he won the World Championship on seven occasions. He retired from Formula 1 racing in 2012. 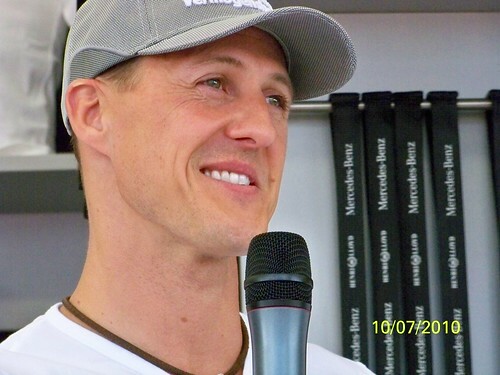 Michael Schumacher was born in Hürth, North Rhine-Westphalia, Germany in 1969. He began his driving career in karting and was winner of the German Junior Kart Championship in 1983. Having had one race with the Jordan Formula team Schumacher signed with the Benetton Formula One team in 1991. He won two titles with Benetton before moving to Ferrari in1996. Schumacher remained with Ferrari until he retired in 2006. He later drove with Mercedes team before retiring for a second time in 2012. A year later while skiing off-piste in the French Alps he sustained a head injury when he fell and hit his head on a rock. We hope he makes a complete recovery. Michael Schumacher, regarded as one of the greatest Formula One drivers ever, was born in Germany in the year 1969 On This Day. Abbey Road is an album recorded by the Beatles in 1969. The Beatles were a world famous rock band, formed in Liverpool, England in 1960. The band became enormously popular and is regarded as the most influential act in popular music. The band, which consisted of four members, John Lennon, Paul McCartney, George Harrison and Ringo Starr, became one of the most commercially successful in music history. The Beatles disbanded in 1970. The Abbey Road album was released on September 26th 1969. The studio in which the album was recorded is located on Abbey Road in London. 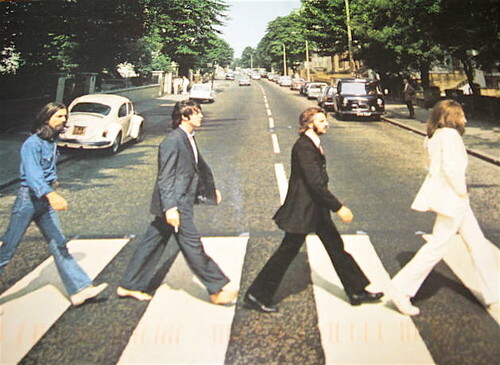 The cover of the album shows the four members of the Beatles crossing Abbey Road at a zebra crossing outside the recording studios. The zebra crossing is now a popular tourist attraction. The photograph on the Abbey Road album cover, showing the four members of the Beatles crossing Abbey Road at a zebra crossing, was taken in the year 1969 On This Day. John Daly was a native of Galway, Ireland. He was a medal winning athlete at the 1904 Olympic Games, which were held in St Louis, United States. As a member of the Gaelic Athletic Association (GAA) Daly represented Ireland at four International Cross Country Championships. He won three Silver team medals and a Bronze medal. John Daly was born at Ballglunin near Tuam, Co Galway, Ireland on February 22nd 1880. The 1903 International Cross Country Championships were held at Hamilton Park, South Lanarkshire, Scotland. Daly, competing for Ireland won an individual Bronze medal and a team Silver medal. At the 1904 Olympics Daly won a Silver medal in the steeplechase. Following a successful athletics career Daly lived in New York where he became a successful businessman. John Daly, winner of a Silver medal in the 1904 Olympics, died at the age of 89 in New York City in the year 1969 On This Day. Courtesy of the Chicago Historical Society. Concorde is supersonic passenger airplane which operated from 1976 to 2003. It was capable of flying at over twice the speed of sound (over 2,100kph). Concorde had seating for 100 passengers and could cross the Atlantic in less than half the time of other aircraft. Concorde was jointly developed and built by aircraft manufacturers in Great Britain and France. The two countries signed a treaty establishing the project on November 29th 1962. The first development Concorde was unveiled in Toulouse on December 11th 1967. Nineteen other Concorde were built. Air France, and British Airways purchased the Concorde aircraft. Because of the sonic boom supersonic flight was limited to ocean crossing. Commercial flights began from London and Paris in 1976 and continued for 27 years. The aircraft was retired in 2003. 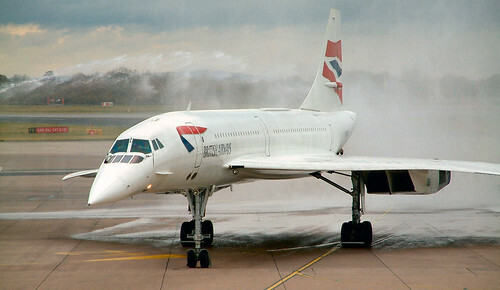 Concorde, the supersonic airliner, made its ‘faultless’ maiden flight from Toulouse in the year 1969 On This Day. The Beatles were a world famous rock band, formed in Liverpool, England in 1960. The band became enormously popular and is regarded as the most influential act in popular music. 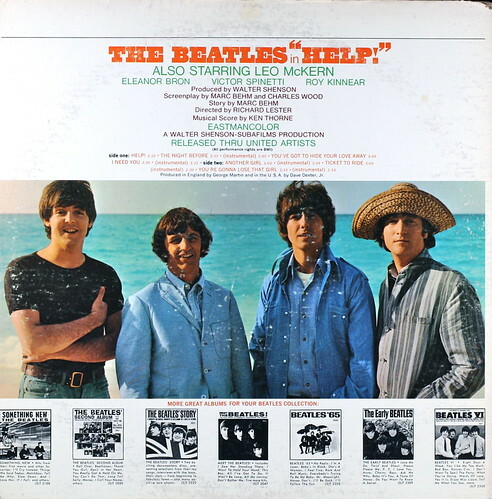 The band, which consisted of four members, John Lennon, Paul McCartney, George Harrison and Ringo Starr, became one of the most commercially successful in music history. The Beatles disbanded in 1970. John Lennon and Paul McCartney met at a church festival in Liverpool where they were both performing. Shortly thereafter McCartney joined Lennon’s band, The Quarrymen. They became the band’s songwriters. Together they went on to become one of the most celebrated song-writing partnerships of the 20th century. The Quarrymen would eventually become the Beatles in August 1960 and would be joined by George Harrison, and Ringo Starr. Brian Epstein discovered the Beatles and then became the manager of the band. He first saw the Beatles performing at the Cavern Club in Liverpool in November 1961. He became the manager of the band in January 1962. The song, ‘Love Me Do’ which was written by Lennon and McCartney became the Beatles first single. It was recorded in September 1962. The Beatles made their last public appearance together, on the roof of their Apple Studios in London in the year 1969 On This Day.